Since 1986, Forat Electronics has been providing service, parts, and modifications to all Linn Electronics products. This included the famed Linn 9000 Drum Machine and MIDI Sequencer. 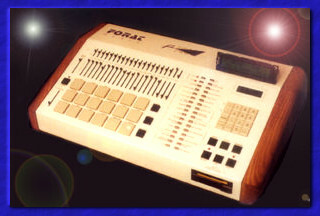 Since that time, Forat has re-invented the 9000 to become one of the most desired drum machine/MIDI sequencers. The F-9000, as it is now called, is sold as a new complete unit, or you can buy software/firmware upgrades to convert your existing Linn 9000. Some new stuff; all old software bugs are fixed, you have four times the original sequencer memory, full SMPTE read/write sync facilities as well as MIDI Clock and Song Pointer Position. You may sample into any of the 18 pads and sample time has been increased for a total of 33 seconds. Speaking of memory, the F-9000 retains all sounds and sequences even when the power is shut off. A new, larger LCD display replaces the tiny Linn display and the F-9000 is divided into two parts: drums and sequencer. Much of Forat's work has been updating and adding new features to the machine with a host of software revisions. The current revision is 7.09 and represents about four years work. Some features of the sequencer include: copy individual tracks to other tracks, shift individual tracks, re-quantize any track after recording as well as track merge. The sequencer will now record all 32 MIDI controllers i.e. MIDI Volume, 156 steps of drum tuning can be recorded dynamically during the sequence or drum tunings can be spread across all 18 pads with each pad user tunable. The sounds that you load or sample can be truncated, faded, or reversed. For example, if you sample a drum loop , you can reverse just a small portion of the loop to change it up. Other new features are: System Exclusive recording for keyboard sounds, drum solo and mute, faster erasing and faster auditioning of sounds. New is the microscope editing with EVENT and GLOBAL Modes. The Event window shows track number your step or location within a certain bar number, MIDI note value, note velocity and note duration. You can change any of these values either by way of up/down buttons, or by simply playing the desired note on a master MIDI keyboard. You can also spot erase any note. In microscope mode, you can step from note to note but you do not have to step through every step (dead space) or the sequence to get to the next note . . . sequencer automatically "jumps" to the next played note. This process can be done on one or all tracks simultaneously. In GLOBAL Mode, you can transpose, erase or scale velocities and duration of notes. You can also specify a range of notes on which these GLOBAL edits occur. In the DRUM SECTION, there is also GLOBAL and EVENT editing. You can specify a range of drum tuning, velocity, and hi-hat decays to be modified. You may reassign MIDI drum notes, create a MIDI drum mix, and send MIDI automation data. The F-9000 is capable of either manual or programmable record punch in/out. Finally under the Environment File, you can save all user set variables such as: SONG LIST, SMPTE START, and frame rates, pad dynamics, tempo, drum mix and tunings, as well as dozens of other settings. SMPTE CARD. This card will allow you to read SMPTE at all four SMPTE rates (24, 25, 30, and 30 drop frame), and also will read MIDI Clock and Song Pointer. SAMPLING CARD. This card will allow you to record your own sounds into the Forat 9000. 18-PAD SAMPLING. This will allow you to load custom sounds on all 18 Pads. You will also be able to adjust the filter amount on tom and conga pads. The sounds that are loaded into the 18-Pad Sampling are not erased when you clear the 9000. This option comes with 336k of memory just for sounds. 64K MEMORY MOD for the 18-Pad Sampling. This will allow loading sounds up to 64k into each pad, a total of 1.3m of memory for sounds. This much memory comes handy especially when using drum loops, etc. This extra memory costs an additional $650 on top of the 18-Pad Sampling. NEW DISPLAY MOD. These new displays use the latest in technology to archive the best possible viewing angles and a super bright LED backlight that won't get dim over time. 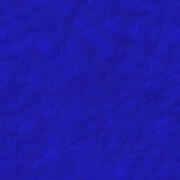 Text is displayed in White over a nice blue background.